Russia has long denied any involvement in the attack on Sergei Skripal and his daughter Yulia in Salisbury and insisted it is ready to cooperate on any investigation. Moscow on Thursday said Britain's claim that the Kremlin bears ultimate responsibility for a nerve agent attack on a former spy in England was "unacceptable". "For us any sort of accusation regarding the Russian leadership is unacceptable," Kremlin spokesman Dmitry Peskov told journalists. "Neither Russia's top leadership nor those in the ranks below, nor any official representatives have anything to do with the events in Salisbury," Peskov said. London said responsibility for the attack went all the way up to Russian President Vladimir Putin. 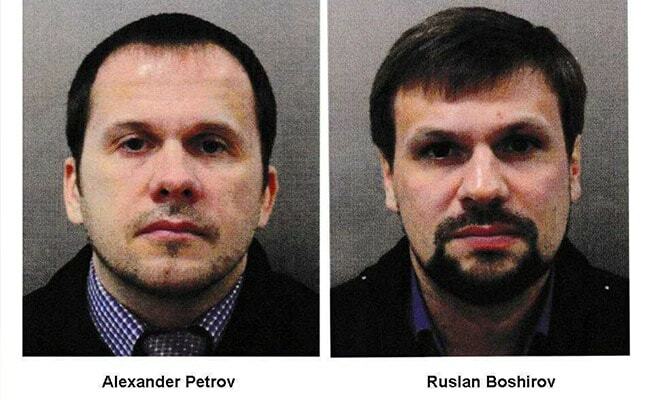 "For us to have grounds to verify their identity we need to be contacted by the British side," Peskov said. "Statements in parliament are not and cannot be considered a request," he added.